In 2017, may you be as “overrated” as Meryl Streep and do as much for democracy as “no action” John Lewis. And those were probably the least damaging things that Trump and his surrogates did last week. As we enter the final week of the Obama presidency, here are Meryl’s speech on what we’re entering into and Trump’s reaction as read by Mark Hamill as the Joker. The Senate hearings for the members of the Cabinet of Doom began last week. Outside of an evil version of my daughter’s preschool class taking over, it’s hard to imagine a more incompetent and troubling group running our country. I hate to be the bearer of bad news (although, I guess I don’t, since this publication is 95% bad news), but every Cabinet nominee will likely be approved. The last two nominees actually voted down were in 1989 (George H.W. Bush appointee and Dem controlled Senate) and 1959 (Eisenhower appointee and Dem controlled Senate). What normally happens is that the political pressure becomes too great and the President-elect pulls a nominee. However, the world we are in is not normal. Trump has shown that there are no repercussions to ignoring pressure or to choosing not to do the right thing. It’s hard to imagine a scenario in which he pulls a nominee. The Republican-controlled Senate will likely not deny Trump on his nominees (plus they also hate things like the EPA, Dept of Education, and Dept of Energy, so don’t mind if they’re a mess). The only possible loss might be nominee Rex Tillerson because a few Republicans still are not on-board Trump’s Siberian Express and do not want a Russian Order of Friendship winner as Secretary of State. So with the background that this is mainly kabuki theater, below are the lowlights from the two big hearings this week. Said he won’t release his tax returns. Senator Marco Rubio (R-FL), who has apparently completed his reboot from when his hard drive crashed at the New Hampshire primary debates, took on Tillerson hard. Rubio pressed him on whether Putin was a war criminal and whether he would lift Russian sanctions. Tillerson didn’t agree with the former, and was non-committal on the latter. Tillerson said that Exxon did not lobby against Russian sanctions. Tillerson had to be reminded by Senator Bob Corker (R-TN) that he in fact called Corker regarding the sanctions. You’d think that Tillerson would remember that. The Wall Street Journal reporter Bryan Tau notes that there are 14 lobbying reports in which Exxon noted it lobbied against sanctions. You’d think the CEO would know that. In response to a question from Senator Ed Markey (D-MA), he said, “I don’t think anyone advocates for more nuclear weapons on the planet.” Apparently, he forgot about Donald “let it be an arms race” Trump. Tillerson told Senator Bob Menendez (D-NJ) that he had not had in-depth talks with Trump about Russia’s actions in Syria. Which is sadly not surprising. The big pierogi of the week is a 35 page dossier thatBuzzfeed released this week with unverified claims of Trump becoming a Russian asset for at least five years. 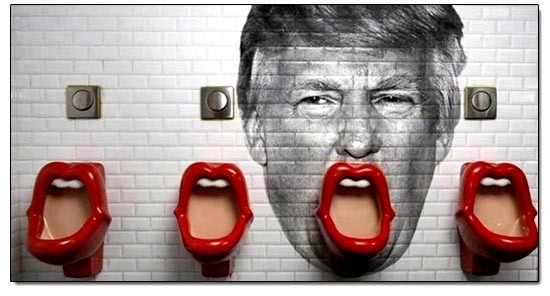 Accusations range from the serious – that the Trump campaign coordinated with the Russians on the hacks – to the salacious (and still serious) that the Russians have blackmail on Trump for things like paying prostitutes to pee on a hotel bed at the Moscow Ritz that the Obamas had allegedly slept in years earlier. No one is sure how much is true, but the source is former MI6 officer Steele, Christopher Steele. Steele has a strong reputation; his earlier work took down FIFA President Sepp Blatter on corruption charges. He was hired to research Trump by low energy Jeb Bush and later by the Democrats. The intelligence community thought highly enough about the dossier to debrief Trump and President Obama on it – something I doubt they did when Trump claimed he had evidence that Obama wasn’t born in the United States. As details come out, this dossier threatens both the Trump presidency as well as the FBI. Wait, the FBI too? How? Just sit right back and let me tell you a tale. Lashing out at the media, the Democrats, and the Intelligence Community. Tweeting that “Russia says nothing exists.” Oh, thanks for checking. If Russia says so, we’re all good. Saying that he didn’t know Carter Page, someone who had meetings in Moscow all summer. Turns out that he named Carter Page to his potential foreign policy team in March. Unfortunately, for a number of reasons, Trump naming someone to his team doesn’t mean he actually has any idea who they are. Saying that he’s a germaphobe, so the prostitute story couldn’t be true. Putting aside that I could think of a hundred different ways an innocent person would respond to an accusation of paying prostitutes to turn the Volga River yellow, Trump did manage to again find an opportunity to contradict himself. In a 2015 Hollywood Reporter article he said he wasn’t germophobic. The Telegraph: What are the five main claims about Donald Trump and his team from the alleged Russian dossier? I Won! I Became President! He refused to call on CNN, saying that the organization was terrible and fake news. He unveiled his long-awaited plan to resolve his tremendous conflict of interest. It is . . . letting his sons run The Trump Organization and pinky swearing they won’t talk with him about it. Oh, he also promised that he would give any foreign profits from his DC hotel to the U.S. Treasury. That way I guess he can indict all of us for taking bribes? At least it will be the first money he’s put into the U.S. Treasury in decades. At the press conference, Trump’s lawyer (whose firm was named the firm of the year in Russia last year – seriously) displayed scores of manila folders that allegedly had all the paperwork to remove Trump from his various businesses. However, much like Trump, these folders were likely filled with nothing. Reporters were not allowed to look in the folders. The folders were not labelled, which means if they are real, they are in the worst filing system ever. There were no post-its or visible notes. It’s more likely that Romney’s binders full of women were in there than meaningful legal documents. Trump had his paid staffers attend the conference to cheer. Trump bragged about turning down a $2 billion project from Dubai over the weekend. He didn’t do something that is unethical and probably unconstitutional. Congrats. I could have ran someone over with a car this week, but didn’t. Can I have a cookie? Don’t Let the Silo Door Hit You on the Way Out – Last week, Trump told all of our ambassadors to leave by the inauguration. This week, he declined to invite the head and the deputy of the National Nuclear Security Administration to stay on. So as of January 20, we have no diplomats and no one maintaining the safety of our nukes. Where Else Can You Get Vichy Water in Midtown? – Far right French political leader and likely Presidential candidate Marine Le Pen was spotted in the basement of Trump Tower having coffee this week. No one would comment as to why she was there. I’m sure it means nothing. Curse of Trump > Curse of the Billy Goat? – The Cubs decided to accelerate their visit to the White House for the World Series championship. Traditionally held during the summer, the Cubs decided to visit now before Trump takes office. While You Were Sleeping – The Republicans began the process of dismantling Obamacare with a vote at 1:30am early last week. They sure are in a hurry. I guess they learned their lesson from President Obama who is still procrastinating taking away everyone’s guns. The Worst and the Dimmest – Monica Crowley, who is slated to be the Senior Director of Strategic Communications for the National Security Council, had her booked pulled recently due to rampant plagiarism. Her PhD dissertation from Columbia is rife with plagiarism as well. No word if she wrote Melania’s convention speech. Happy Robert E. Lee Martin Luther King Jr.Robert E. Lee Day! It’s fun to learn new things. For example, I learned this week that Arkansas, Alabama, and Mississippi celebrate Robert E. Lee Day on the same day as Martin Luther King Jr. Day. It’s a real-life Reese’s, “‘You got your Robert E. Lee on my Martin Luther King Day’, ‘No, you got your MLK on my Lee Day'” situation. Donald Trump hopefully also will learn something new this weekend – who Representative John Lewis (D-GA) is. While Trump was getting Vietnam deferments and working with his Dad to keep African Americans out of Trump-owned apartments, John Lewis organized and spoke at the March on Washington, had his head bashed in on the Edmund Pettus Bridge in Selma, and was an original Freedom Rider. There are few still among us who have done more and produced more for democracy in this country. Trump also managed to throw in some racism along with his ignorance by assuming an African-American can only lead an inner-city hellscape. Georgia’s fifth district includes Georgia Tech, Emory, the Center for Disease Control, the headquarters of Coca-Cola, and 90% of residents are at least high school graduates. Or maybe Trump does know all about John Lewis and just longs for the good ol’ days. 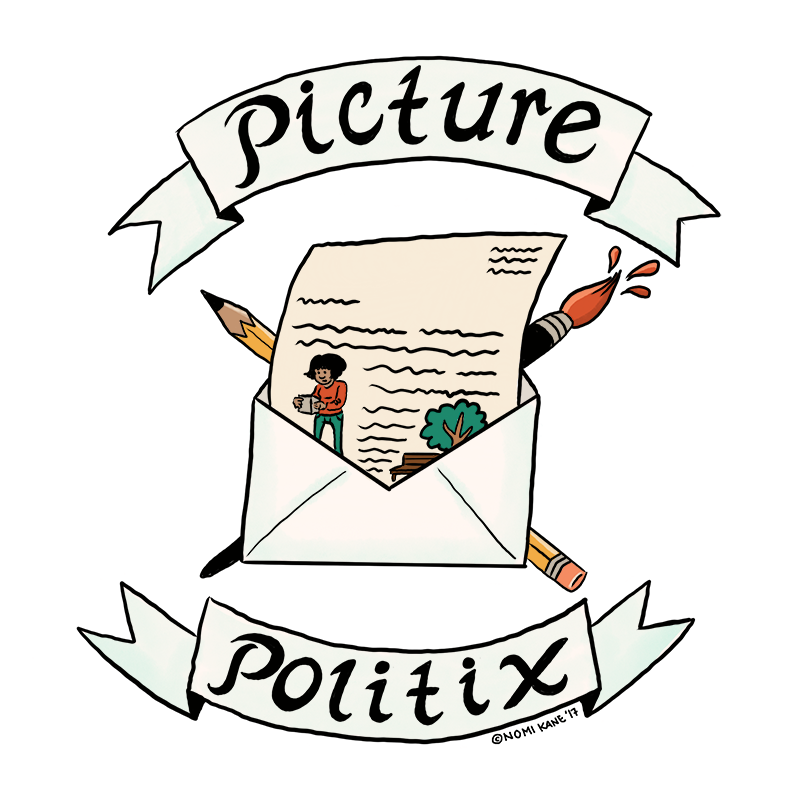 In response to Trump’s election, cartoonist Nomi Kane launched Picture Politix. Artists add “illustration to letters composed by constituents to their law-makers” to increase the visibility and deepen the meaning of the message. They send the final product to the representative. Check out Picture Politix and consider sending in your own letter! Sleeping Giants encourages people to watch nationalist websites like Breitbart and make advertisers aware that their ads are appearing on their websites. To date over 600 companies have eliminated Breitbart from their media buy after being called out by Sleeping Giants. Your representative likely has “office hours” in your district. Show up. This is how change happens and how the Tea Party succeeded. Look what happened recently in Denver. Don’t be a Donald, read about John Lewis. Since I know many readers of The TrumpShaker don’t have a lot of time, here’s a graphic novel version of his work. Previous Post:Vol. 8 – Day 60 P.E. Next Post:Vol. 10 – Day 75 P.E.